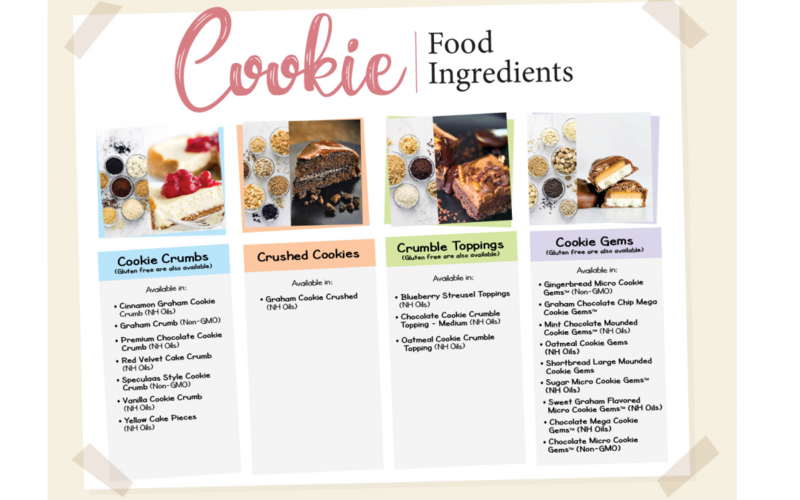 We provide a vast Cookie Ingredients such as innovative Crumble Toppings and precise Cookie Gems. We also offer Cookie Crumbs with different flavors and granulation and Crushed Cookies that has specific grind size. Gluten-free is also available. Call or email us now for more information, quotes or samples!